This year we will continue with our school goal to focus on Critical Thinking. Students are learning the language and learning how to explain their thinking. Please help us by encouraging your child to think about their options, make a choice and explain their reasons. We had an amazing experience on September 13th when the whole school came together. The students were placed into 20 ‘family groupings’ (each group had Kindergarten to grade 6 students mixed together.) We thank all the staff and parents that were able to participate and all the adults that were able to switch their schedules to participate in our event. 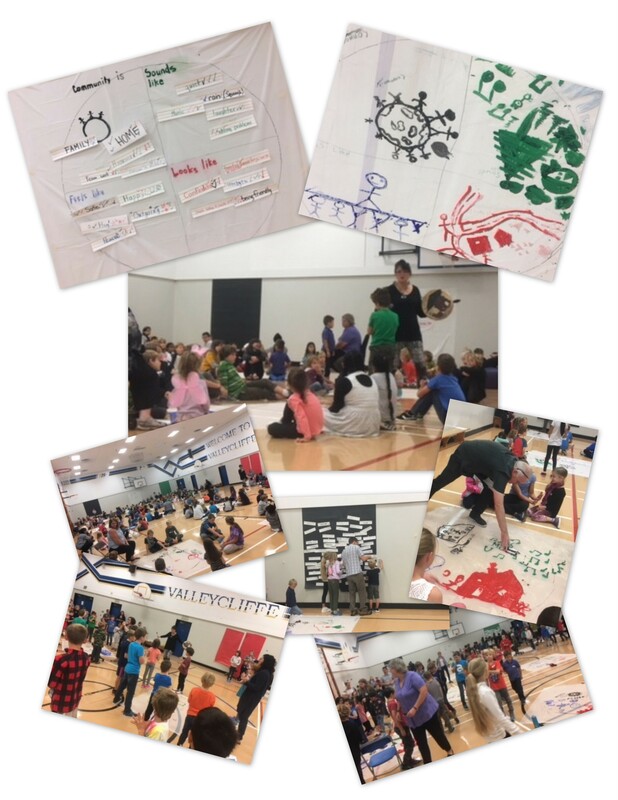 Susan Leslie, the District Principal of Aboriginal Education led the whole school through the process of refining what we believe represents Valleycliffe: What is a community? What does Valleycliffe “feel like”, “sound like”, “look like”? I am grateful to be part of such a rich, caring environment. The students spoke from their hearts and were eloquent with their words to describe what we believe and how we want to be at Valleycliffe. This is the beginning of the dialogue that will continue in the classrooms and on the playground.